Steiner Optics 328 Wildlife Pro 10.5x28 Model 328 Binoculars FREE SHIPPING! The 10.5x28 Wildlife Pro Model 328 Binoculars from Steiner Optics are a powerful, compact and highly portable pair of long-range binoculars. Boasting a fog and waterproof construction as well as precision cut optic components, these binoculars are ideal for hunters, animal watchers and tactical operatives alike. Their all-glass lenses feature a full multicoat that offers superior light transmittance to deliver the brightest image possible regardless of ambient light levels. Corrected roof prisms enhance image quality, providing truer colors and better contrast resulting in greater detail retention. The binocular's outer shell is made from rugged aircraft aluminum and is easily capable of handling the extreme environments that come with tactical mission work. An easy focus center control is easy to adjust with or without gloves, ensuring sharp pictures and maximum clarity at all times. 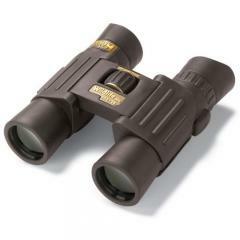 ©2002-2019 CopsPlus.com: Steiner Optics 328 Wildlife Pro 10.5x28 Model 328 Binoculars FREE SHIPPING!